Overall length is from the end of the threads to the underside of the top of the bolt. Speedway leaf sping axle U-bolts are a great replacement for worn out stock bolts and feature a generous length to accomodate lowering blocks (sold separately) to fine tune your ride height. 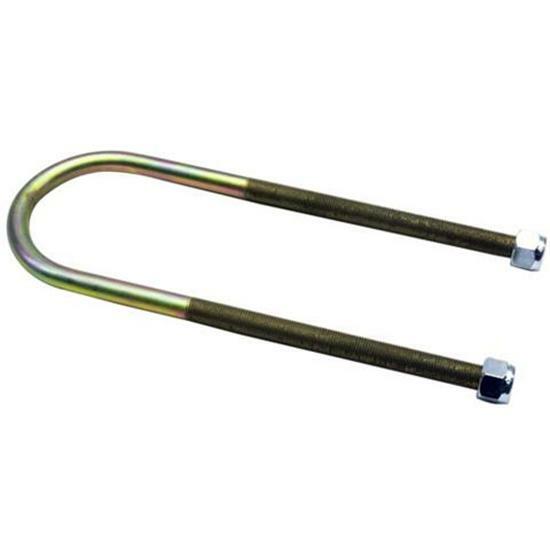 U-bolts are made from heat-treated and zinc-plated steel to ensure long life and durability. All bolts are 1/2" diameter with 1/2"-20 threads. Fits rearend housings with 3" diameter axle tubes. Center to center of threaded end width is 3.685" with the inside to inside working width of 3.185"